"This is Peggy" Where's your Data? So, one day, we were all hanging out in the conference room and somehow the conversation came up about where our data centers for our customer’s backups are located. 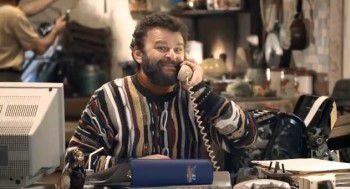 Someone spoke up and did a pretty good imitation (accent and all) of the Credit Card commercial “This is Peggy” where a person in a foreign country was attempting to give questionable customer support. You know, I never gave it much thought because I know where our customer’s data lives and I know that the data’s encrypted when it goes out to the data centers. So I asked, “Where in the world other than here in the US would other businesses want their data to live?” They all laughed at me and the best answer I got was “wherever it can live the cheapest”. At ThinkGard, we know that our customer’s data is located in 2 bi-coastal data centers in the United States in two of the safest geographical areas in the world which gives our customers extra redundancy that protects them from certain natural disasters and the uncertainty of what could be happening in the rest of the world. Power outages on the east coast? No worries, your data’s also backed up near the west coast. Tsunami or earthquake on the west coast? Never fear, that data is also backed up in the East. And don't forget, you have a local backup too! And we manage the backups from our office right here in Alabama. We even do what we like to call mini DR tests daily.